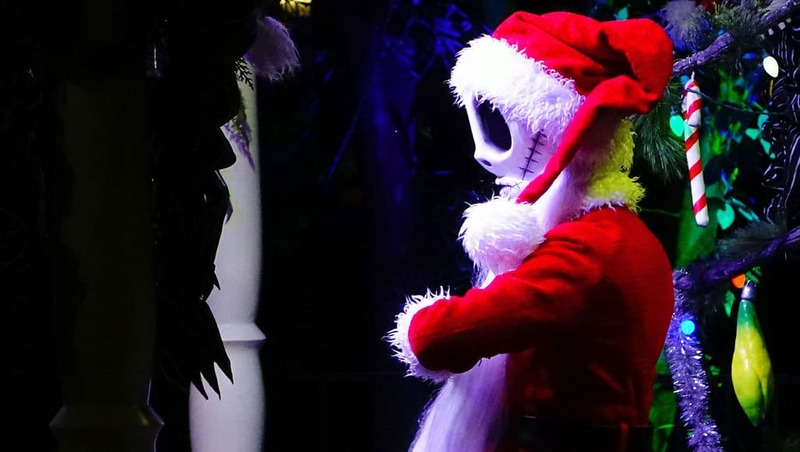 On Monday night I visited the first Mickey’s Very Merry Christmas Party of the year. Here’s my thoughts on what I experienced that night including some nice photos, witty commentary and helpful thoughts. 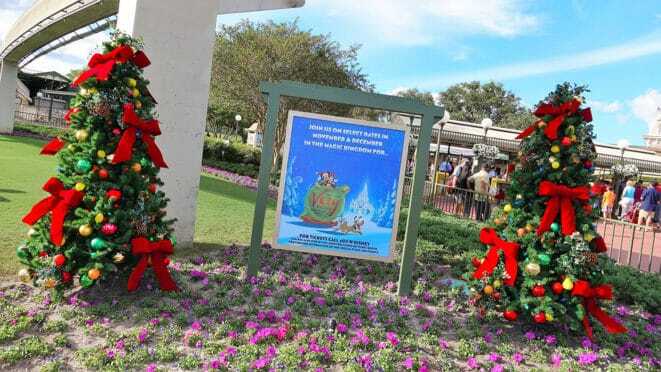 As you enter the Magic Kingdom for party, you’ll see the advertisement for the Very Merry parties on the left and right. It is a “hard ticket” event, meaning it requires an extra cost for admission that is separate from your day ticket. The massive Christmas tree was erected earlier than normal because the Magic Kingdom is only filming the stage show portions of the upcoming Christmas shows. Disneyland is filming all parade portions. I guess it makes sense to do it that way, but people really loved the parade parts because they could see new characters that wouldn’t appear otherwise. I’d expect the Disneyland filming to offer Moana for the first appearance for example. 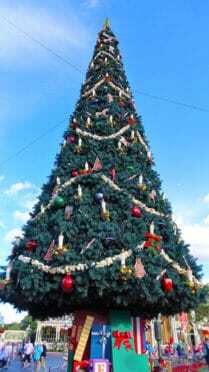 On my previous visit where I looked into the Magic Kingdom Christmas decorations, these arches weren’t yet installed. 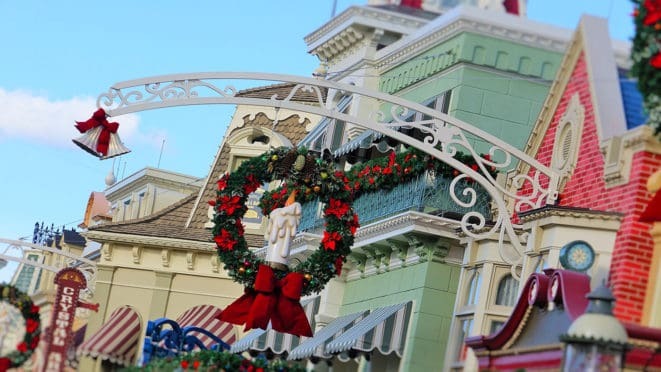 It seems that it takes 3 nights to get Main Street fully prepped for the holiday season. It’s really beautiful and festive and especially nice at night. You’ll see some of those photos at the end of the post! 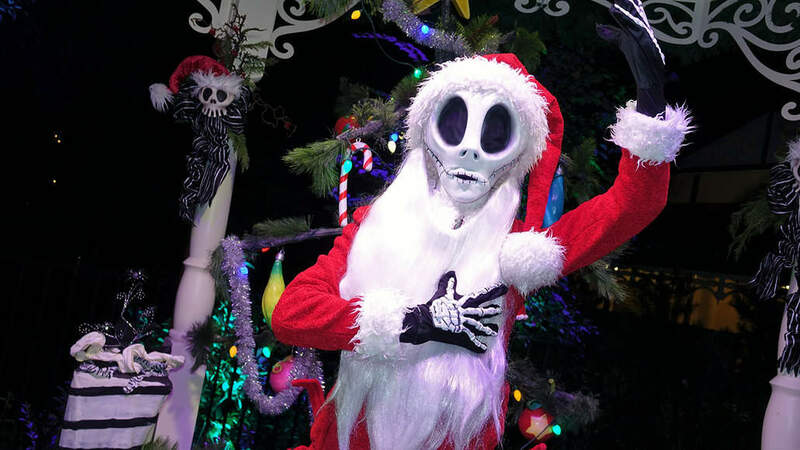 Given the choice, I prefer Disneyland’s decoration for the season because they decorate almost all of the park vs one land, but WDW does have all the parks and resorts to do as well. Because I used my Annual Pass to enter the Christmas party, I made my way over to the Buzz Lightyear Fastpass+ kiosk area to get my Very Merry wristband. 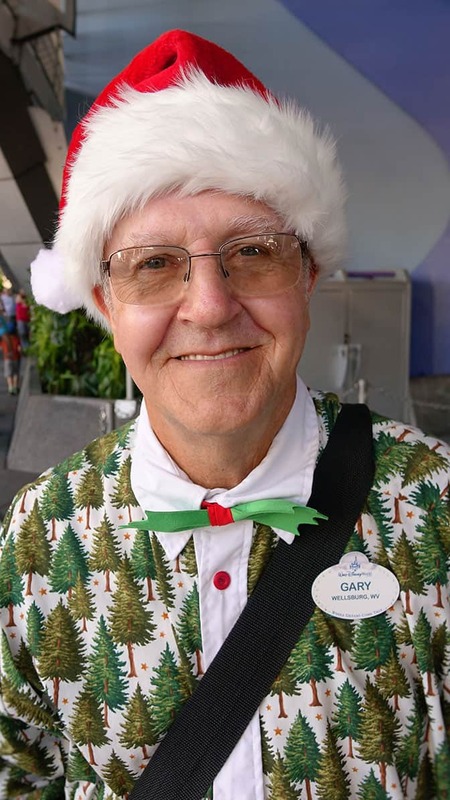 It’s a simple process where they tapped my MagicBand and sent me on to Gary to get my wristband on my right wrist. If you’re already in the party, you can visit Tortuga Tavern across from Pirates of the Caribbean, Philharmagic or Buzz Lightyear to get your mandatory wristband. At 7PM the Cast Members begin to politely guide you toward the exit if you don’t have it. 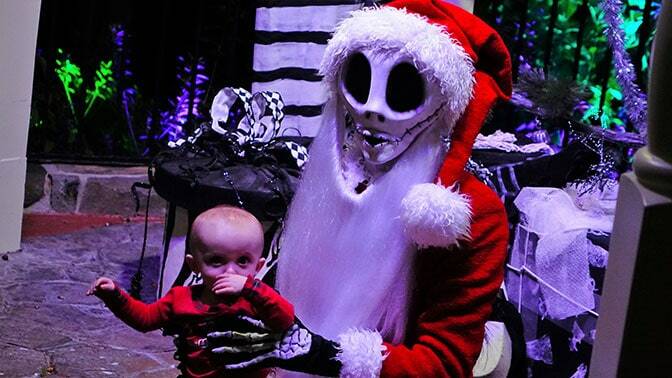 My expectation was to see Jack Skellington dressed as “Sandy Claws” before the party even began. 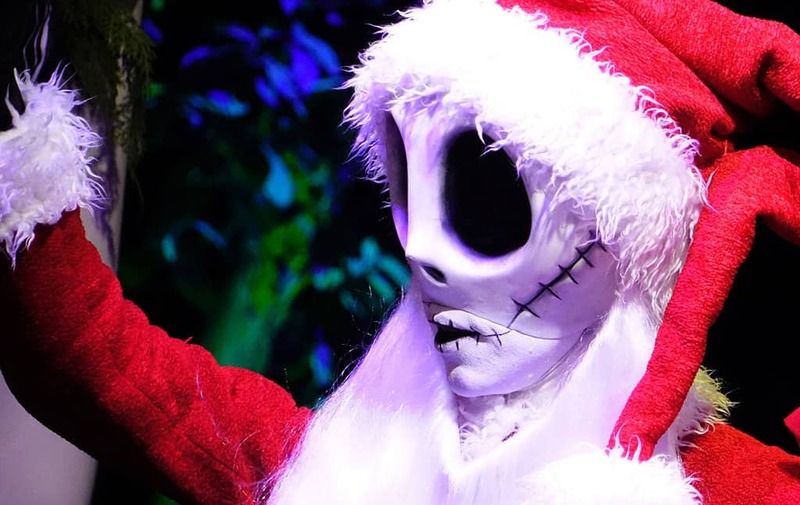 He and Sally came out early for each Halloween Party and I, as well as 150 other people, thought it would happen for the Christmas Party. Well, we waited 2.5 hours for him to show up at 6:30pm. The people who arrived at 7pm waited until 9:30pm, so at least we still had the entire party. A family in front of me asked if the child could sit on Sandy Claws lap and take a pic. Nice job hiding your face for me kid! Now I don’t have to blur it out. By not offering the highest demand characters super early, like they did for the Halloween Party, that threw off a lot of people’s plans for the evening, but I was still able to accomplish a great deal. Continue on to PAGE 2 below! Disney with a 3 and 7 year old dec 11-13… was going to do MK dec 11 which is a party day. Have breakfast at chef mickeys at 10:30 (only time we could get). Should we do MK during the day or just do party that night?? Mainly for rides not characters… thanks! Can you find Belle in her Christmas dress anymore? (I’m a Character Locator member, and did look there first-I’m thinking since it isn’t listed, it probably doesn’t happen, but did want to ask.) Thank you, Kenny! Which of the rare characters who are only out for parties sign autographs? Thanks, hadn’t checked recently. Love the the way the info is presented now! They are on the main Christmas Party post. what is the costs for this event? Did you pay for this event or did you get comped? 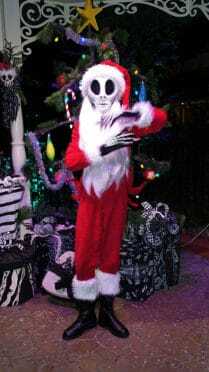 Would the wait be less for Sandy Claws during the fireworks or first parade? Hey Kenny! Thanks so much for the info!! So at Princess Fairytale Hall, what time does Flynn start meeting with Rapunzel? Is it right at 7? Thank you so much for all this. Very helpful in planning and I almost choked on my drink only once with an unexpected joke :) I should know by now!!! 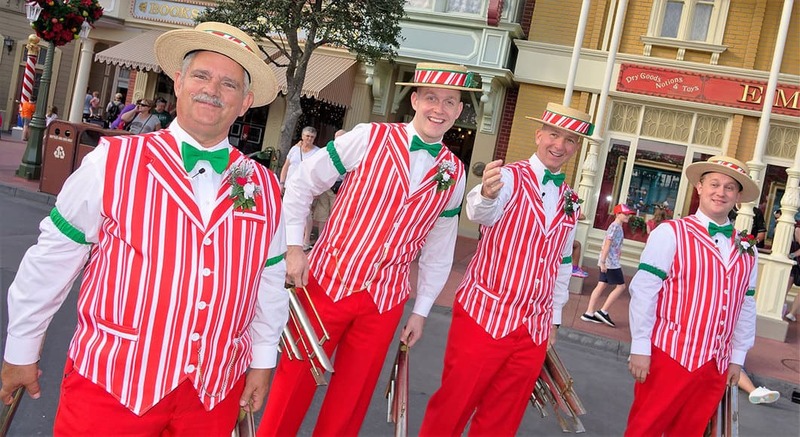 Are the costumes for Daisy, Donald, Mickey, and Minnie unique to the Christmas party or can I see them somewhere else in the parks? Thanks? I’m doing the princess dining in the castle at about 8:30 cause it was the only opening. Would you recommend still doing it or would I miss too much in that hour of eating? Maurine, since Diamond Horseshoe is a regular running restaurant now, there is no room for any entertainment. 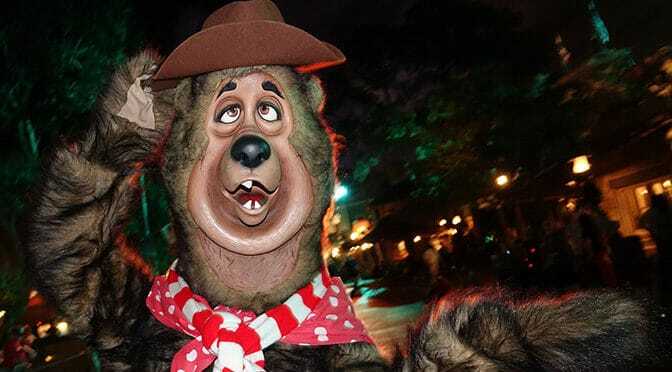 The country bears are now roaming characters. How crowded was it? How many people were there? Hi Kenny! Thanks for your review. Did you find that most of the characters had handlers and/or photopass to take pics? I’m going to MVMCP solo. Yes they are Holiday themed. I mentioned in article that there is no projection show this year during parties, only happened on Sunday this week. So do you have any recommendation for parents? I want to watch Holiday Wishes, the stage show and the parade. My kids are only 10 and 8 so I am trying to figure out the best order to watching those since the best locations aren’t going to be the same for all. I am starting to lean towards watching Wishes from Fantasyland which we have never done but I don’t know what we would miss out on, is there anyone projected on the castle during the fireworks and is there any music we wouldn’t hear? And if I did that I still don’t know which stage show time would be best. How early do you think I would need to line up to see the show and parade? And how close to the stage do they let you get? What do you think of new character looks? It looks like Pluto looks different now too. It will take some time to get used to, just like anything else, I suppose! Great review, thanks for sharing!!! Can I get a Hail State? I loved the little Mississippi State touch. On the other note, the information was great. I can’t wait to visit in December. It is my first party. So, am I understanding that you skipped the fireworks so that you could do meets with little wait time?